A few months back, I shared my thoughts on a new subscription box called Boxwalla. Since that post, I have had the opportunity to experience other beauty boxes from them and I wanted to share some of my thoughts -- and my favorite discoveries! First, I would like to review my current box, which is from Boxwalla's Wandering Woman series. I am over the moon excited about this box because I am delighted by each and every product in this one. Have you ever received a subscription box before and your only reaction was a mix of "meh" and disappointment? 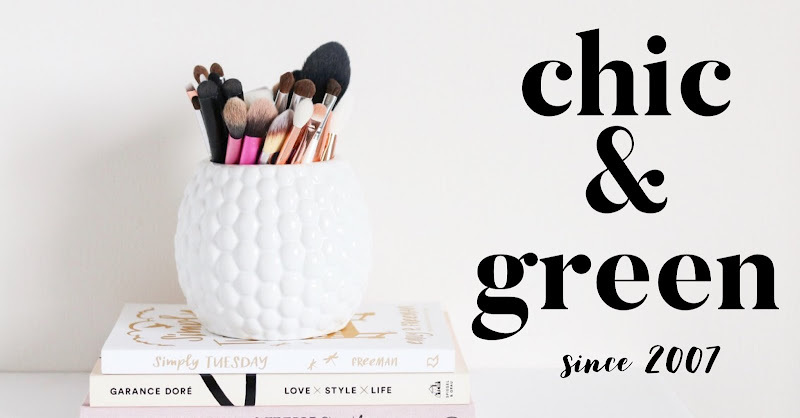 I know you are sitting there nodding your head, especially if you are an Ipsy or Birchbox subscriber. I mean no offense to either of those services; it's just that I used to be routinely underwhelmed with each month's delivery and ultimately cancelled both. My experience with Boxwalla, on the other hand, has been quite the opposite. 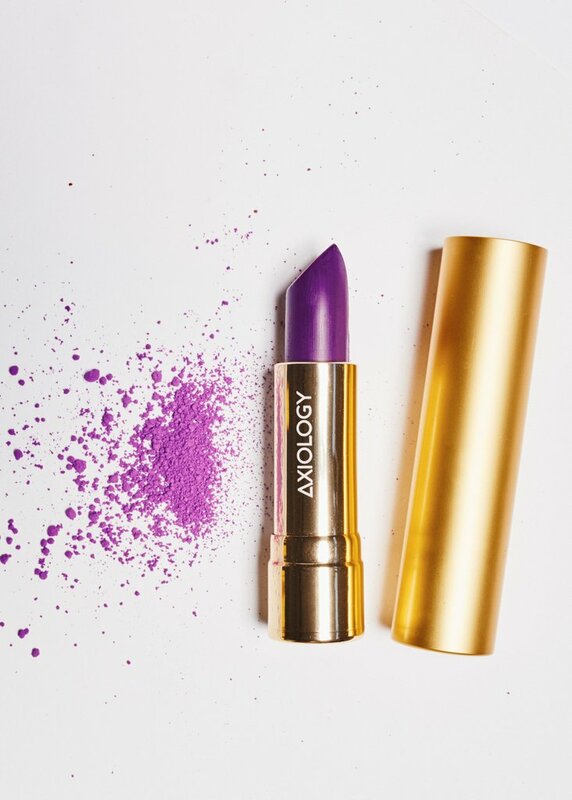 Before I review my current box, I want to share my holy grail lipstick with you! This was in a previous beauty box from Boxwalla that I just never had a chance to get to writing about. 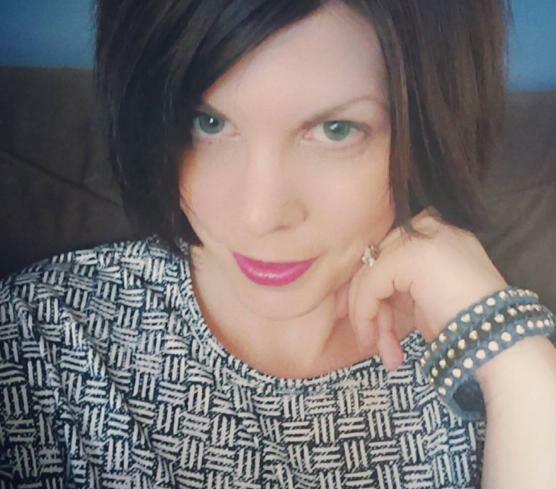 I would be remiss if I didn't tell you about this lipstick, though. In fact, it's the first time in years that I have had a color AND formula I was so smitten with that I actually hit the bottom of the tube. The last one that had that effect on me was the long-discontinued Estee Lauder Futurist Lipstick in Divine Wine that I first bought in 1999. Well, Axiology Natural Organic Lipstick is the best natural lipstick that I have come across in my nine years of blogging. At $28 this one is more than I normally would pay for a lipstick. Some of you buy expensive handbags. I get mine at Marshall's. Others splurge on the hair salon. I go to Super Cuts every 6 weeks and use Clairol Natural Instincts Medium Cool Brown every 4. My two splurges in beauty are It Cosmetics CC Cream and lipstick. As with my other Boxwalla boxes, this one is a keeper. No duds. You see, each month, the box is so thoughtfully curated that it's nearly impossible to not fall in love with every product in it. Each box tells a story, which is such a key difference between Boxwalla and all of the other subscription boxes. 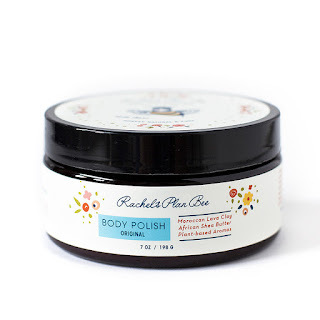 Rachel's Plan Bee Original Body Polish -- This is the best body scrub I have ever used. I have had many that I have enjoyed in the past, from Lemongrass Spa to Origins. This one, though, is spa-quality. It is the perfect combination of scrubbiness versus oiliness. You do not have to worry about slipping in your tub, yet it is not one that feels too dry. It is perfection. 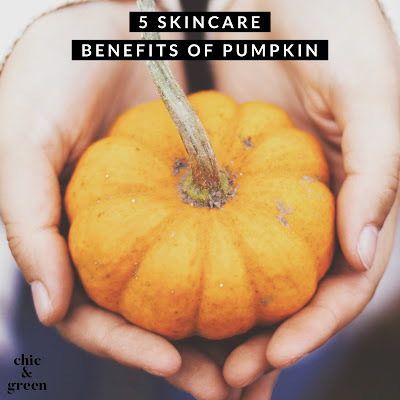 You will find sugar, Moroccan lava clay (not found in many scrubs on the market, so this is unique), kaolin, shea butter, grapeseed, beeswax and a beautiful citrus aroma (from essential oils). The ingredients are organic and you can tell that this was crafted with a passion for ingredients. Rachel's Plan Bee Bee Cream -- I have the mini of this and it will definitely be a product I will buy in the full-size. Girls, you need this product in your life. It is elegant simplicity. A little goes a very long way. You only need about the size of a pencil eraser head to adequately nourish the skin. And the smell is intoxicating. Orange + vanilla + grapefruit = hello, lover! It is beautiful. It is refreshing. It is comforting at the same time. I also use this on my heels at bedtime. 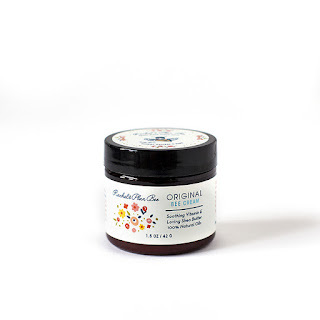 Use it on the cuticles, elbows, hands -- anywhere you please. 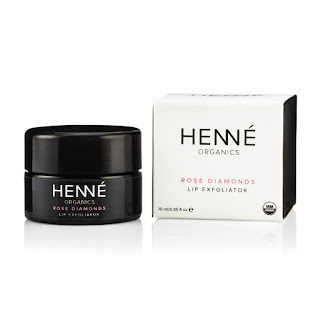 Henne Organics Rose Diamond Lip Scrub -- The only lip scrub I have ever really loved is one from Lush. Until now. This USDA Certified Organic product is so luxurious, especially with the rose oil in it. It also features an ingredient we rarely see in skincare called Red Chokeberry. Also known as Aronia berries, these are rich in antioxidants. In fact, they contain more antioxidants than any other berry. This product also has a natural pink hue and the ideal consistency. With coconut oil, jojoba, and shea butter, this sugar-based exfoliant leaves lips feeling like pure silk. 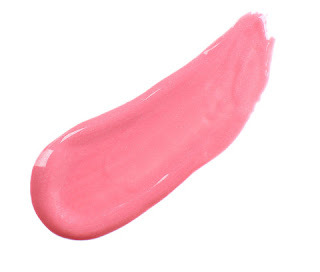 Gressa Skin Lumière in Elise -- One little drop is all you need to naturally tint lips and cheeks. Think Benefit Benetint, but with fabulous ingredients, a lovely consistency, and with skincare benefits. Elise is really a versatile shade. It almost looks like a coral and morphs into a natural pink that just looks natural. This is what I consider a hybrid product -- yes, it is a cosmetic item, but it is just as much a skincare treatment. This lovely serum contains sea buckthorn berry, radish root ferment, Coenzyme Q10 & more. Now I know what you might be thinking: $49.95 is a lot for a beauty box. Let's break it down. All of the products in the box are full size, with the exception of the Bee Cream ($6). The Gressa product sells for $28, the Rachel's Plan Bee scrub for $20, and the Henne lip scrub for $24. That is $78 in products ALL of which will be used with love. In fact, in the three boxes I have had from Boxwalla, I have thoroughly enjoyed every single product. I am confident knowing that each box has been well thought out. It shows. The folks behind the scenes at Boxwalla have a keen eye for what they are choosing for the boxes and I know you will adore your products as much as I do mine!